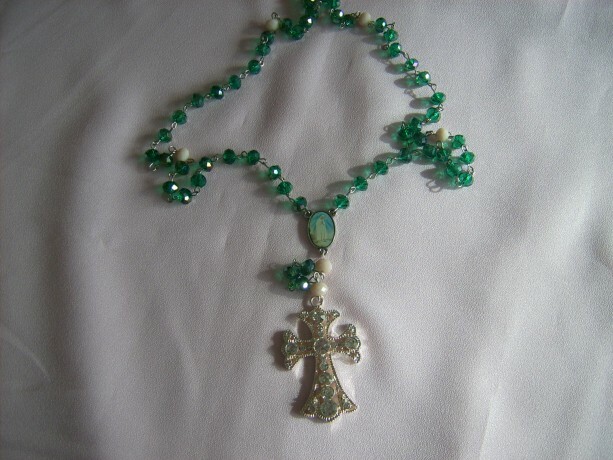 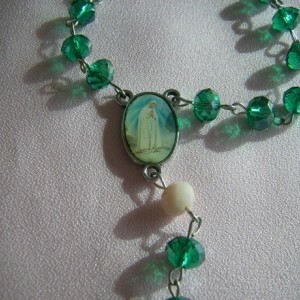 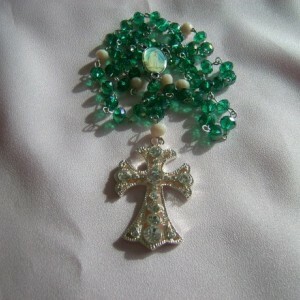 Rosary Beads are prayer beads in Catholicism. 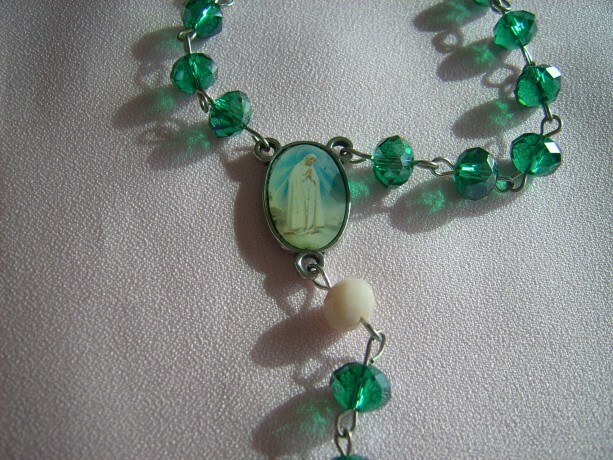 The Emerald Crystal set is made of emerald green glass stones with cream colored glass stones separating each decade. 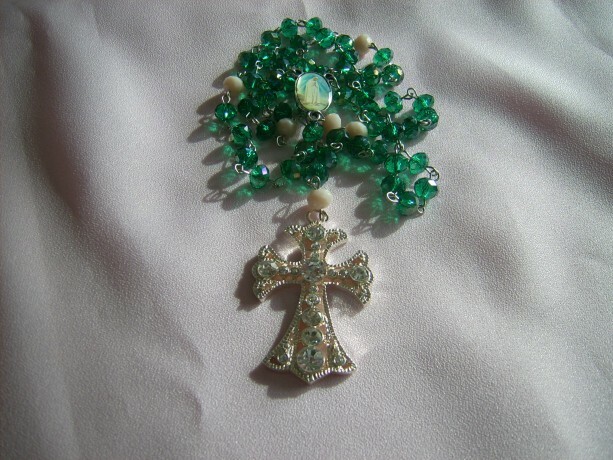 The green stones when held up in in the light, shimmer, reminds me of the leaves on Birch or Quaking Aspen trees, how the dance in the breeze and glisten in the sun. 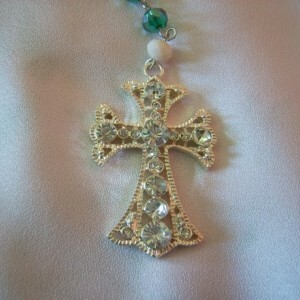 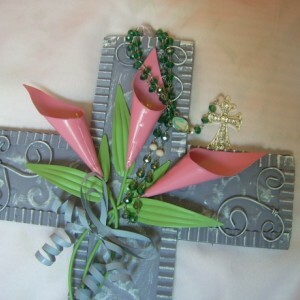 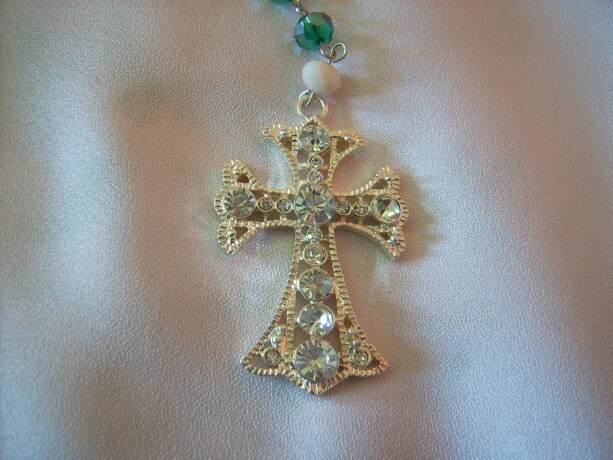 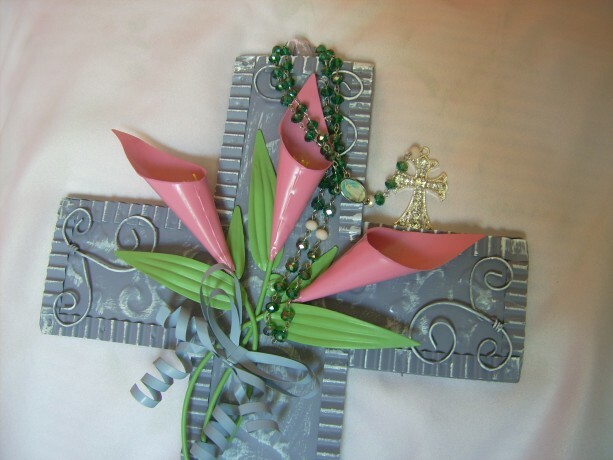 The cross is a silver toned, filigree cross with rhinestones adorned on it. 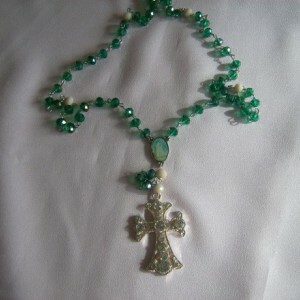 It measures approximately 19.5 inches in length.